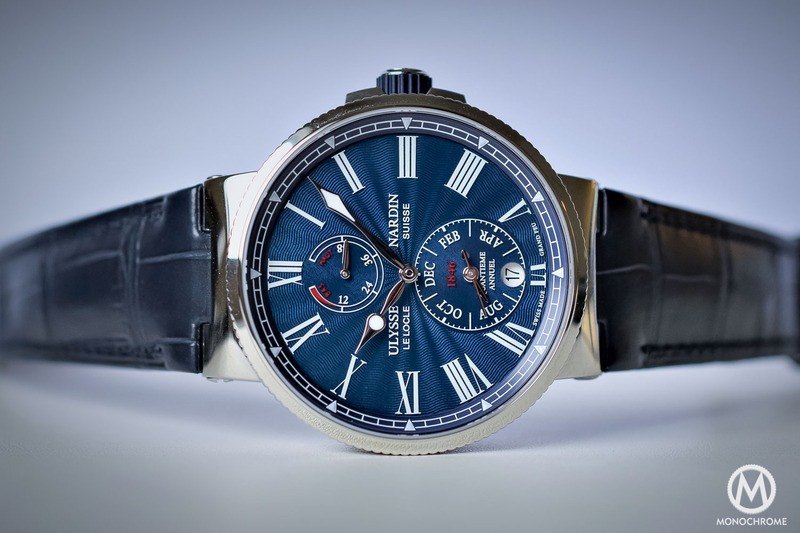 This year, you’ll see several very nice watches from Ulysse Nardin, all paying homage to the great heritage of the brand (and believe us, since its inception in 1846, the brand has done A LOT). 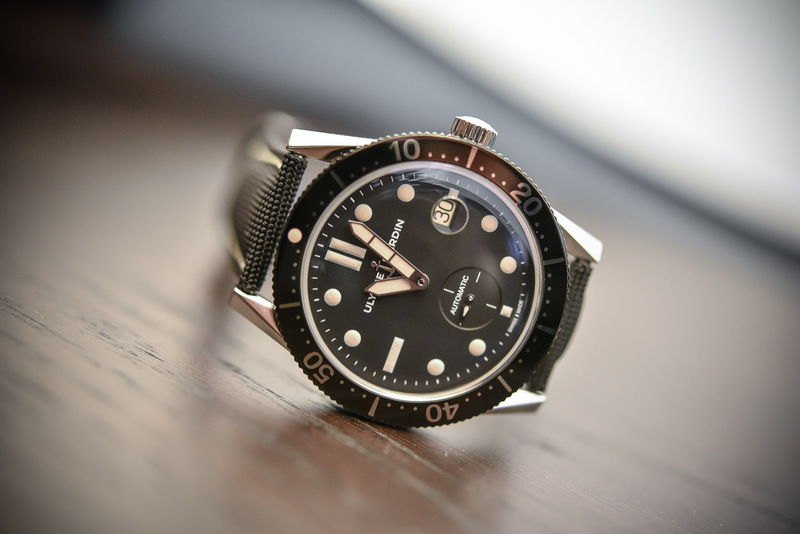 Recently, UN launched a watch as a tribute to the great Ludwig Oeschlin (a watch that will soon be under our loupe) and now, we have something drastically different and quite unexpected from the brand; a vintage-inspired dive watch… Surprising at first but the result, the Ulysse Nardin Diver Le Locle, is properly cool. 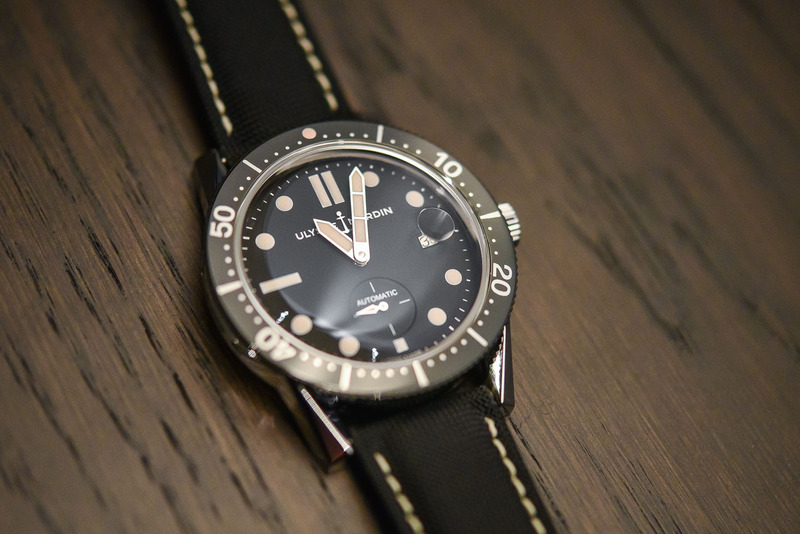 While the current Ulysse Nardin catalogue does comprise various dive watches, under the Diver range, the idea of such watches in past collections (thinks 1950s, 1960s) doesn’t really ring a bell at first. 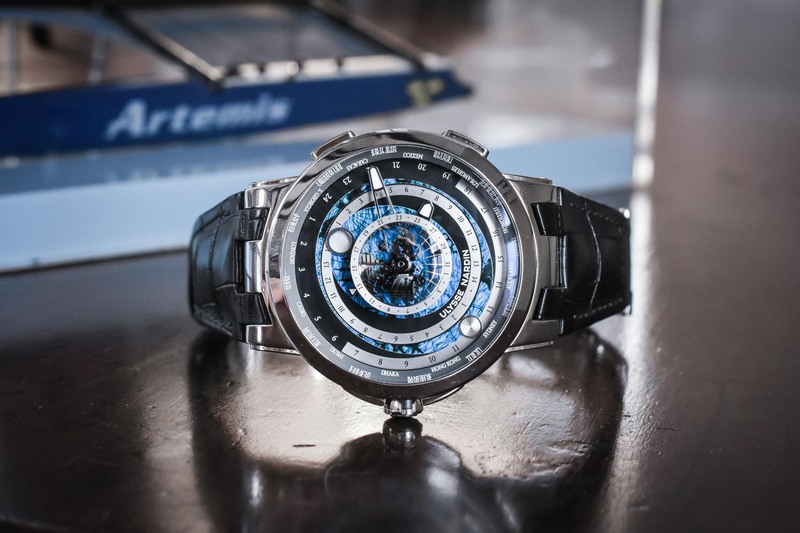 Of course, everyone know the antique Marine Chronometers (which still greatly inspire the brand and its watches) or the developments of innovative movements. 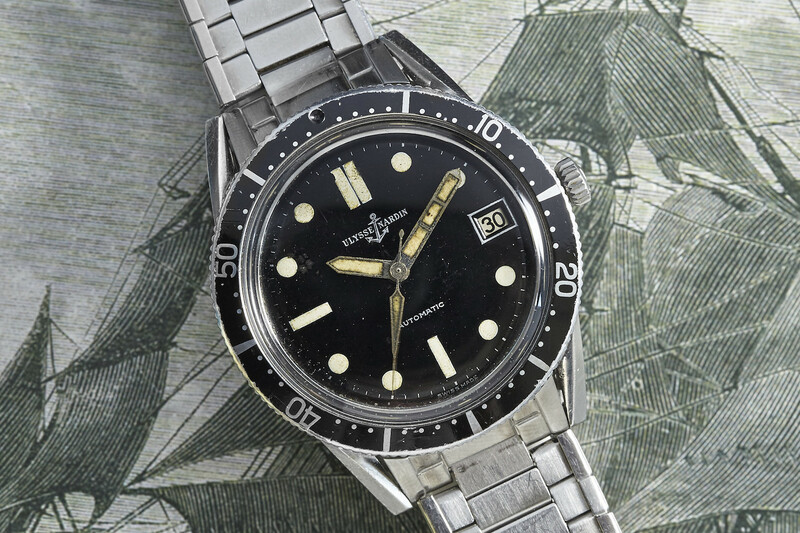 However, in terms of vintage dive watches, let’s agree, Ulysse Nardin is probably not the first brand we think of. Still, there are a few pieces, and quite interesting ones to be honest. Today, the Le Locle-based manufacture pays tribute to one of them, a 1964 model to be precise, designed for scuba divers, measuring 38mm in diameter and featuring a unique case shape (especially the lugs). For 2017, Ulysse Nardin comes with a faithful, yet modernized, re-edition of this 1960s dive watch. The watch that inspired the new edition is certainly identifiable, with many of the original elements being incorporated, albeit slightly redesigned to meet with current standards / needs / expectations. 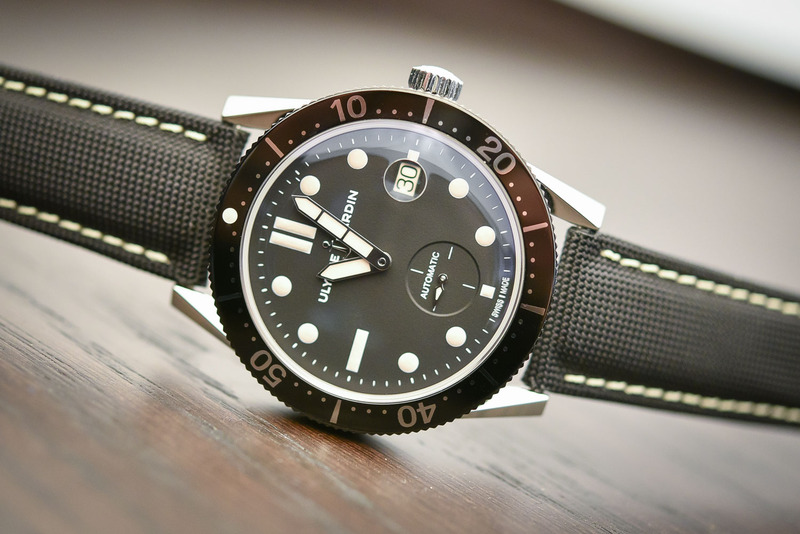 The case, hands, dial and bezel are all inspired by the 1964 model, and overall, the new Ulysse Nardin Diver Le Locle feels like a spot-on reissue, especially because Ulysse Nardin has been one of the few brands not to overuse the vintage appeal (a rare enough occurrence that it deserves to be mentioned). So for once, we won’t complain about seeing a bit of vintage-appeal. Vintage-inspired yes, but modernized. The first thing to note is the increased size of the case, as this Ulysse Nardin Diver Le Locle measures 42.2mm (vs. 38mm for the old one), a diameter that makes it seem quite large on paper. However, the watch has very thin casebands, combined with a raised bezel and caseback, meaning that it wears thinner than it actually is. Likewise the lugs, which appear rather long, are also somewhat deceptive. Once you put the watch on, the Diver Le Locle feels quite compact and sits well, even on smaller wrists (see photo on a 16.5cm wrist). The originality comes from the shape of the case, and especially the facetted lugs, which give the Diver Le Locle a nice appeal. The whole case is polished steel, and is water resistant to 100m (enough for 99% of occasions in or around the water). 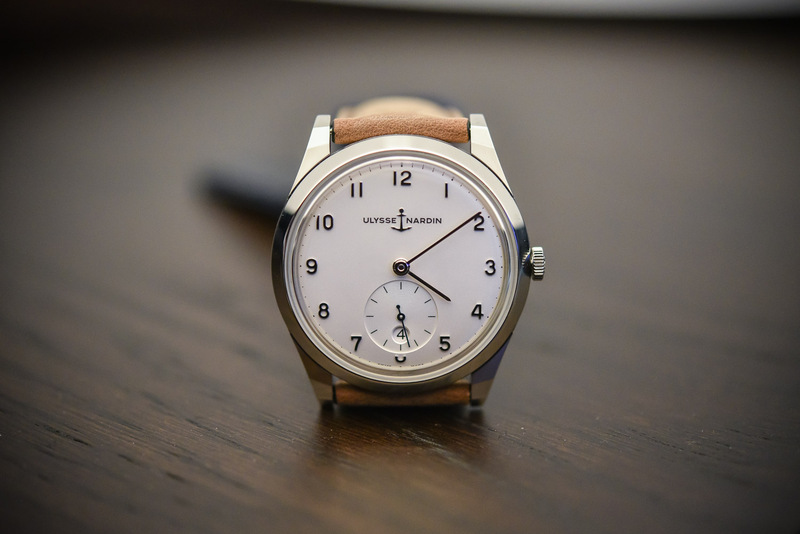 This shape is faithful to the vintage version, and so is the bezel and its insert. The bezel itself is black coated, while the insert is aluminum, with a glossy finish. It is secured to the wrist by a fabric / sailcloth strap with pin buckle. Overall, the Diver Le Locle isn’t a real tool watch, as it is highly glossy and polished, but this choice fits the vintage-reissue idea quite well. As for the case, the dial of the Ulysse Nardin Diver Le Locle plays on the key elements of the vintage version but modernizes them, to fit with current standards. Both the matte black color, the shape of the hands and of the indexes, as well as the slightly patinated color of the lume are all tributes to the 1964 model. On the other hand, the watch now shows small seconds at 6 (instead of a central second), however the small second hand is still the same glaive shape as in the old days. The date, still present at 3, is now magnified. 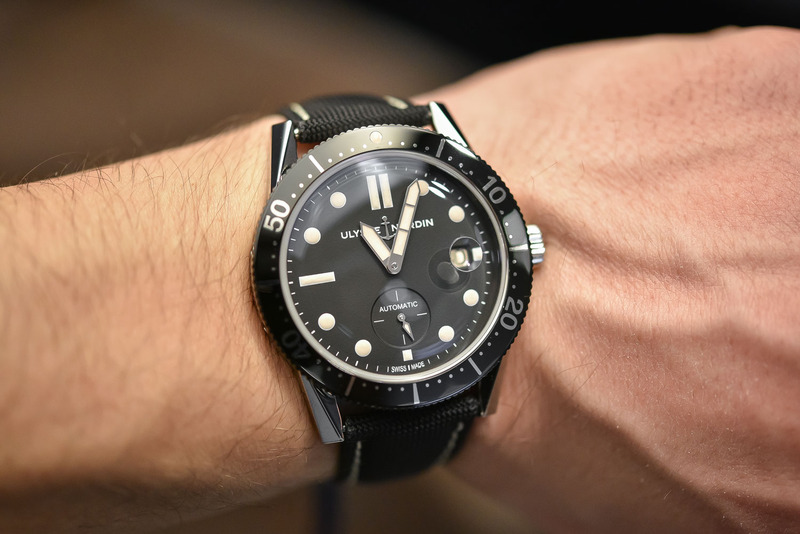 This surprising position of the second hand (at least for a dive watch) is all due to the presence of a modern, in-house produced movement: the calibre UN 320. This engine features silicium technology (hairspring, escape wheel and pallet fork) and runs at 4Hz, with a 48h power reserve. Its nice decoration won’t be visible, as the Ulysse Nardin Diver Le Locle has a closed back featuring a nice engraving, replicating the 1964 original. 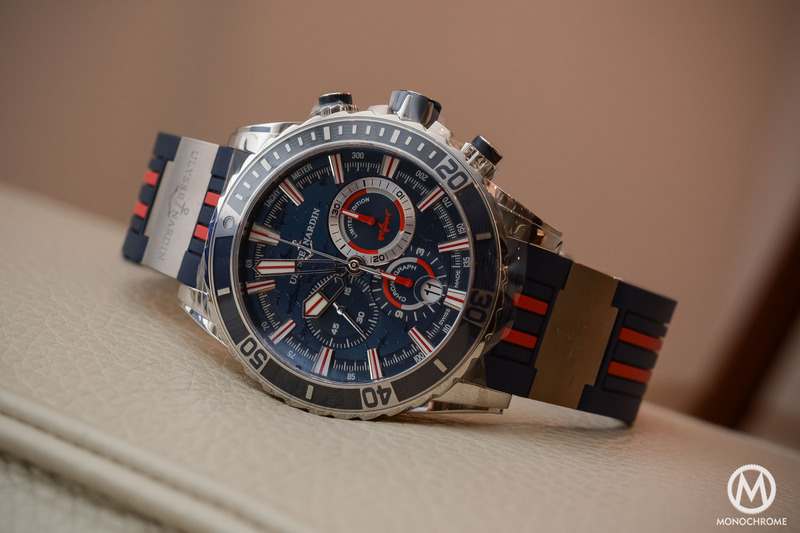 The Ulysse Nardin Diver Le Locle (ref. 3202-950) is now available (April 2017) and is priced at CHF 9,600. 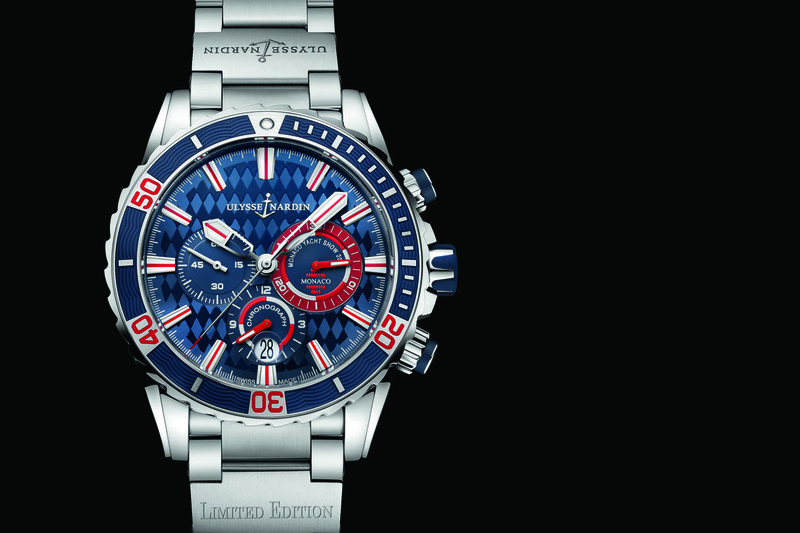 More details on www.ulysse-nardin.com. 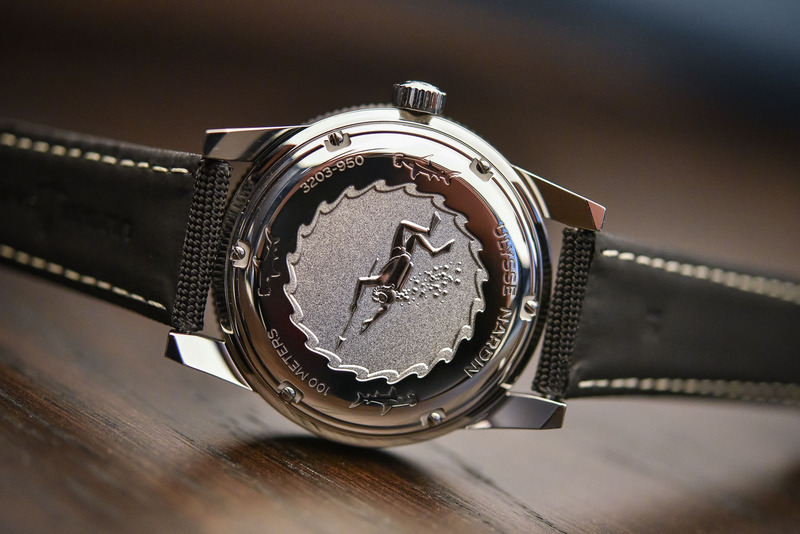 A $10000 watch with an aluminum bezel, a100 meter depth rating, and no screw down case back ? At least the original had a nice logo and central seconds hand. This isn’t vintage inspired. i bought at auction a sixties Uluysse Nardin dive watch that looks just like this it is a very small watch by today’s standards. I love this new incarnation. Looks like an ORIS divers Sixty-Five. Pay a little bit less, you get a Submariner. Pay a little bit more, you get a Sea-Dweller 4000. Pay bit more than that, you get a Fifty Fathoms. Pay a even less and you get a Seamster 300. Pay A LOT less and you get a Divers Sixty-Five. You had me until the price point, UN. For that price, I prefer to buy 28 Seikos! $10,000. That’s adorable, UN. At least you get an “A” for effort. Undeniably it looks great. 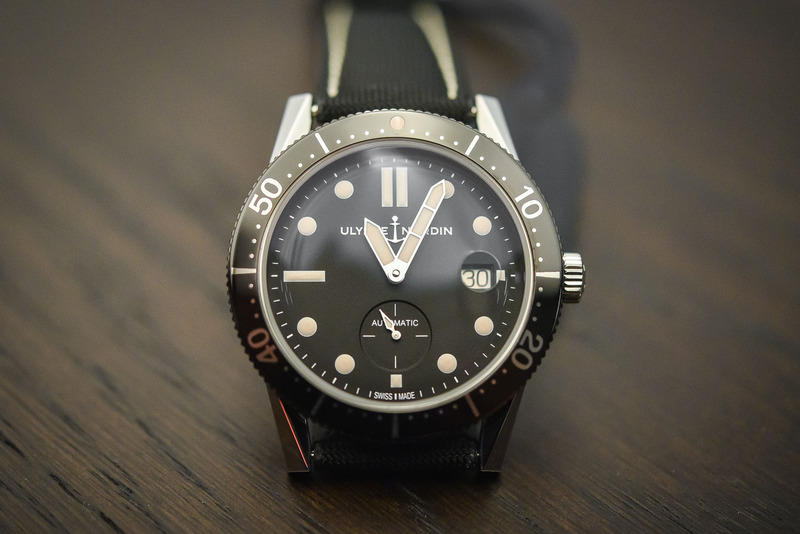 For 10k however, I would expect more features defining this piece as a real diver – not because I need it – but because the competitors at that price point offer it. Does this clash with the vintage philosophy? Perhaps. In the meanwhile one can pick up the Rado Captain Cook limited edition for 1.7K and get far better value. How many Oris sixty-fives can I buy for that 10 grand again???? How much does UN charge for an aluminum replacement bezel insert? $500.00?